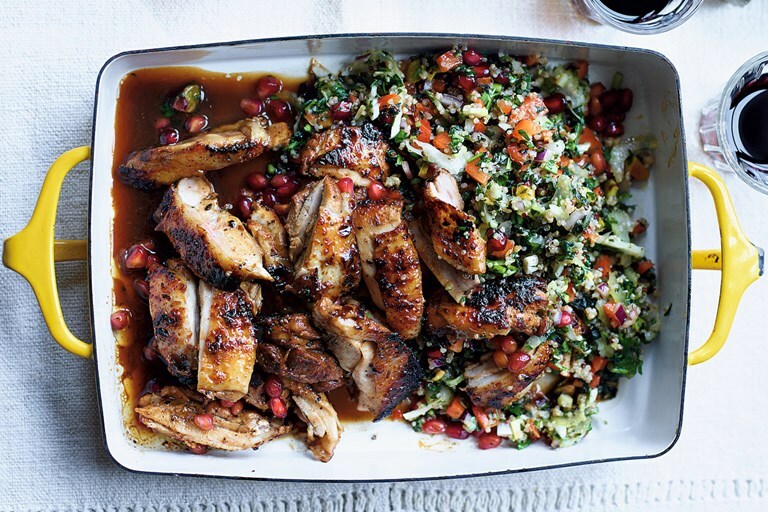 This heavenly pomegranate-glazed chicken thigh recipe is a sight to behold, with perfectly glazed chicken served with a vibrant, bountiful quinoa salad. This recipe is taken from Home Cook by Thomasina Miers, published by Faber & Faber. Photography by Tara Fisher.